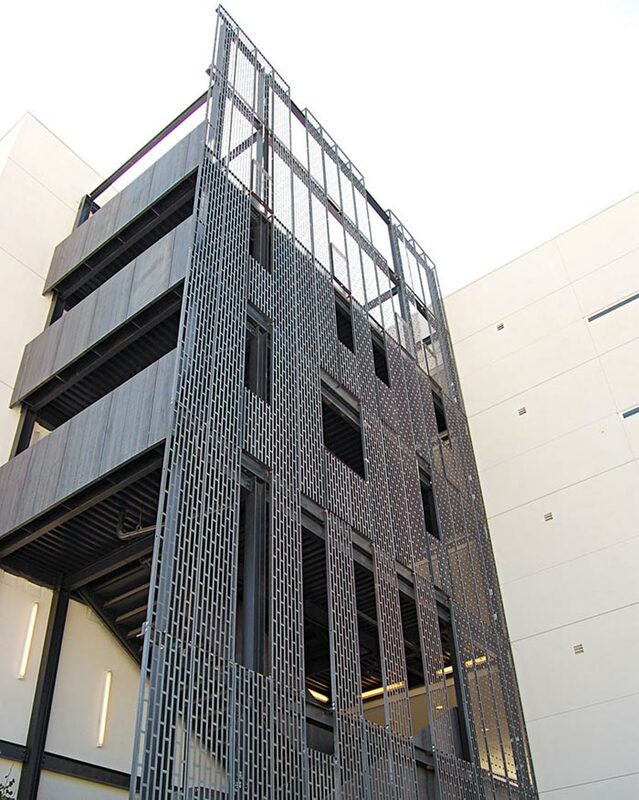 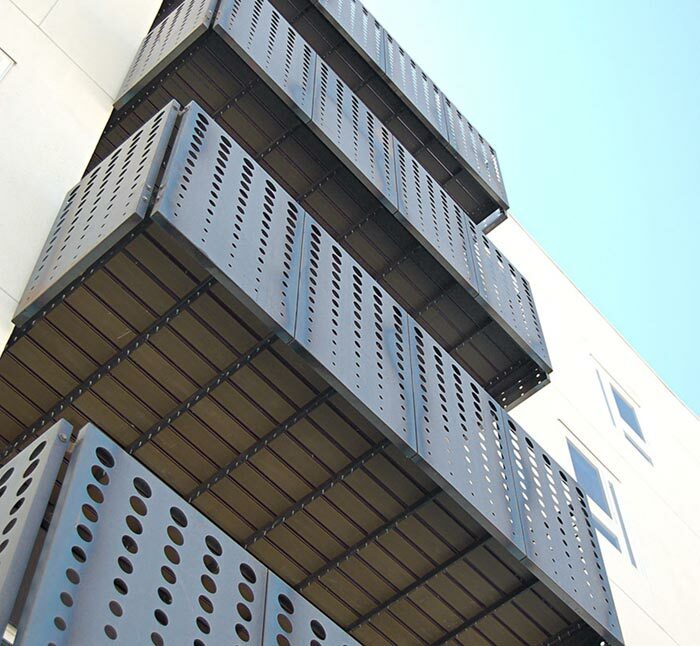 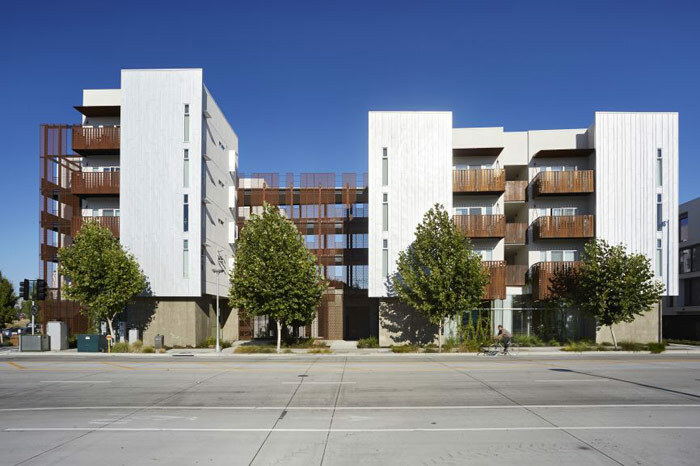 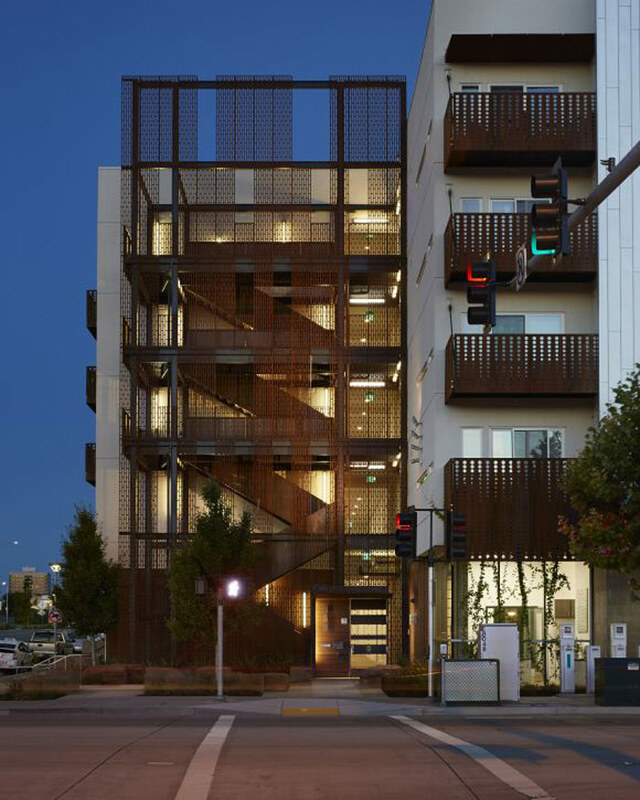 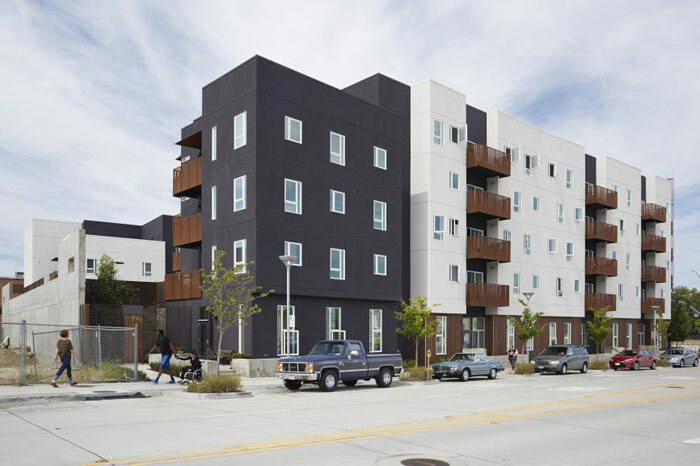 A multifamily residential project designed by David Baker Architects utilizing BŌK Modern panels in both anodized aluminum and weathering (rusting) steel. 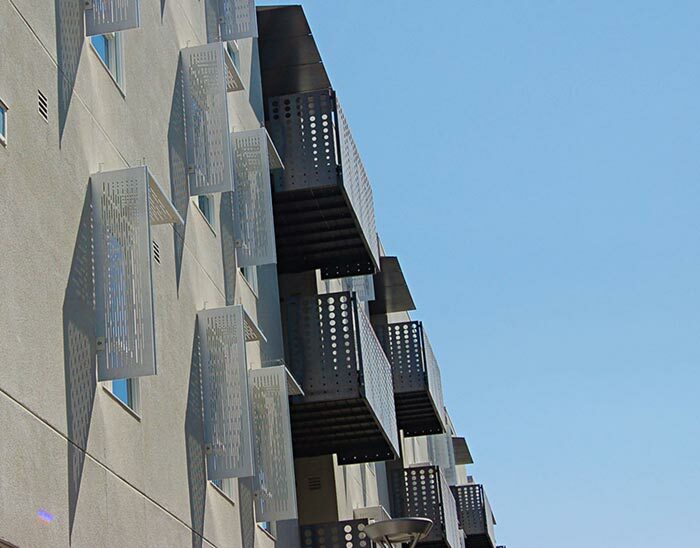 Dramatic multistory screens in our A-19 pattern rotated 90 degrees and fabricated with 12 gauge steel provides both visual interest and doubles as guard railing. 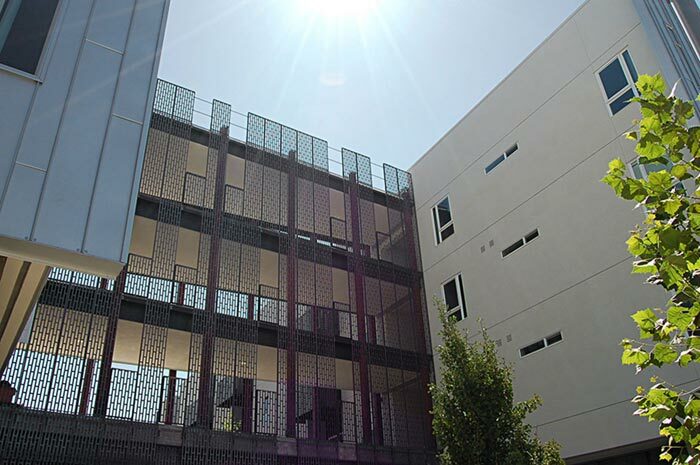 Anodized aluminum vertical sunscreens with a custom pattern complement the rusting steel guardrails.